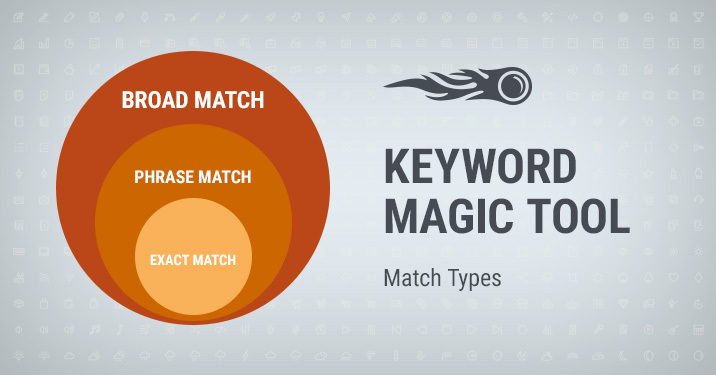 We’ve made keyword research more precise for you — we’ve embedded Match Type filters in the Keyword Magic tool, so you can collect the most relevant keywords for your SEO or PPC campaign. With this update you can use the Exact, Broad or Phrase match filter to display keyword ideas for your seed keyword according to similarity. Also, you can include and exclude keywords using Exact or Broad match filter to narrow your keyword search. [email protected]. And thank you for making us better!